In 1980, I turned 9. What this means is that I entered my 2nd decade, the teen years, as the 1980’s got into full swing. My dad and uncles all listened to Rock Music, more or less. So, I grew up listening to Los Angeles Rock radio. KMET, KLOS, and, later, KNAC. All three of these were crucial, to one degree or another, to the 80’s metal scene, which did, after all, come of age in Los Angeles. I remember well my mother telling me that she knew my love of heavy metal was a phase that I would grow out of. Nearly 40 now, I don’t think she was right about that. I still buy metal albums and still bang my head on occasion. Maybe not as vigorously, but still. Metal was the soundtrack for my adolescence and, I think, a completely underrated musical form. So many people think of it as throwaway music, and some of it may be. But, there’s a lot of great music in metal. I thought I would look back over the decade and pick out some of the better albums of the time, along with some commentary about their place in my own life. My dad liked The Doors and Bruce Springsteen. 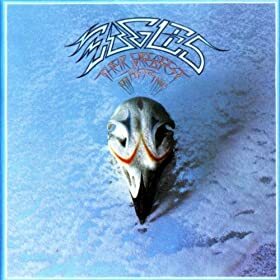 My uncle James gave me The Eagle’s first greatest hits album for Christmas about this time. Up until now, the only albums I owned were two Abba albums (the first two, I think) and The Bee Gees (with Peter Frampton!) Sgt. Pepper’s Lonely Hearts Club Band soundtrack to the musical film. If you haven’t seen this gem, you really should. Not because it’s good, but because you will be blown away that it even exists. The Eagles’ greatest hits goes into full repeat mode on my record player. CD’s had not gone mainstream just yet. Then, not long after that, I discovered Rush. I “borrowed” my uncle Chris’ copy of “Exit Stage Left “. I never gave it back. I wore that cassette tape OUT. I listened to it so many times that eventually I had to buy another copy. I didn’t give it to my uncle, either. I kept that copy too. As I look at the metal albums of 1980, it’s funny because they seem like “old” albums to me. All of them came out before I was really paying attention to metal. Iron Maiden and Ozzy still scared me at that time. I was in 5th grade at the time. I own several of 1980’s best albums today, of course. 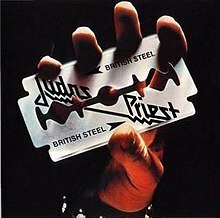 “British Steel ” is not my favorite Judas Priest album. But, it’s got some awfully good songs. In my opinion, they don’t hit their stride for a couple more albums, but this album does have “Breaking the Law” and “Living After Midnight” and, I also like “Metal Gods” today. But, like I said, this album feels like it came out way before it really did. It seems ancient to me. It doesn’t feel all that scary at all. And, metal should be scary to some degree. This album still feels like “Rock” music. Not all that metal, really. Now, don’t get me wrong, I loves me some Judas Priest, but this album shows that they always wrote goofy lyrics. “Grinder”? Grinding meat? You gotta be kidding me. That’s freaking awful. And, for that matter, “United” would totally not sound out of place at a Tea Party rally. Seriously. Close your eyes, listen, and tell me I’m wrong. Then, there’s Permanent Waves. I have to say that this is my favorite Rush album now. 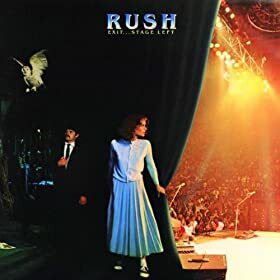 It’s really a great album, which is saying a lot for me because I love every Rush album (and that’s not an exaggeration, I really do). But, it’s got “The Spirit of Radio,” which is one of the most “feel-good” songs to me. That also happens to be the opening song to “Exit Stage Left” so I cut my teeth on it. I knew the live version so much better than the studio version, for sure. 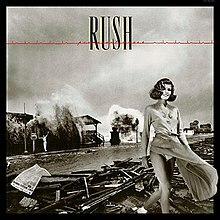 Permanent Waves also has my favorite Rush song on it, “Natural Science.” Good lord, this song is a monster of metal. A lot of people will debate if Rush is really a metal group. Well, I tend to say that if they aren’t metal then they had a huge influence on it. You can’t listen to “Natural Science”, though, and not feel the metal. “Freewill” is probably the next best known song from Rush after “Tom Sawyer,” I think. It’s a great song and was the first time that Neil Peart addressed atheism in lyrics. Interestingly, during the Satanic Scare of the 1980’s, I recall a rumor going around that Rush was a Satanic band and that the band name was an acronym for Rule Under Satan’s Hand. Hilarious given that Peart is an outspoken atheist, Geddy Lee of the same thought but quieter about it and Alex Lifeson may have some faith but I don’t recall him talking about it. In any case, it just goes to prove that none of the critics of metal really listened to the music or they would have realized that Rush didn’t believe in the devil anymore than they believed in God. But, to be clear, I didn’t own any of these albums in 1980. We have to move ahead a couple years before I started buying metal album when they were released. They didn’t really become a part of my metal heart until later, but they did, eventually, get there. In 1981, I turned 10. Amazingly, it’s also the year that some of my favorite metal bands were born. Queensrÿche, Metallica, Mötley Crüe, and Pantera. It was also when the umlaut really came into it’s own. Of course, Blue Öyster Cult did it first, but, when I think of the metal umlaut, I think of Mötley Crüe. (Nerd note: the iPad has an unadvertised feature that allows you to hold your finger on a key of the virtual keyboard, assuming you have the foreign keyboards installed, and up will pop a little menu offering accented letters. This includes umlauts. I wonder if any of the Apple designers were metal heads because this makes using the umlaut far easier than on a regular keyboard. Try to do it yourself. Where is the umlaut on a regular keyboard?) Again, I didn’t listen to any of these bands in that year. I suppose no one did that year. 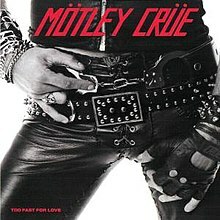 Other than Mötley Crüe’s “Too Fast For Love,” none of them had albums released that year and even, at that, Too Fast For Love didn’t come out until November. (I don’t recall this. I looked it up.) I’m not positive, but I think that the album took some time to catch on, too. Mötley Crüe was one of the first of the Sunset Strip bands to achieve success. Too Fast For Love is a kick in the head, a raw blast of glam metal. It was released on Mötley Crüe’s own label and it sounds like it too. “Live Wire” and “Piece of Your Action” are classic Sunset Strip style. When Mick Mars busts out that buzz saw riff that starts off “Live Wire” and Tommy Lee bangs on that cowbell, you know you’re having fun now. Turn up the stereo, roll down the windows and live it up. 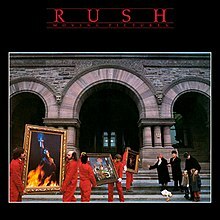 “Moving Pictures” by Rush is widely regarded as one of their best, if not the best. And, it deserves it. “Tom Sawyer,” their biggest hit kicks off the album. You might have heard “YYZ” on Guitar Hero. “Red Barchetta” was the second cut on “Exit Stage Left” and therefore had a special place in my heart. “Limelight” is another one of their biggest hits. Then, there’s the fan favorites, “Witch Hunt” and “The Camera Eye.” “Vital Signs” rounds out the album. It’s one great song after another. It’s also funny to me because the album is only about 42 minutes long! I don’t really know why it was, but most albums were about 45 minutes long in those days. I think it had something to do with LP vinyl format. When the CD got popular it became more common for albums to be longer, closer to 60 minutes, and nowadays they can go to 75 minutes with more compression. Anyway, this is a great album and was my favorite for a long time. It was the second Rush album I personally bought. The first was “Signals” which I will talk about later. However, “Tom Sawyer” gets played so much on rock radio that I got sick of it. Well, as sick as you can get of something that is completely awesome. I’m just burnt on it, is all. The sound quality on this album is as good as you can get, too. Perfect. Okay, it’s not as weird as it sounds. But, I had a routine that I followed every time I got a new album. I would sit in the living room at the family stereo unit. It had a radio receiver, a turntable, and a cassette player/recorder. It would record the sound from LPs! So, I would get the album out, put on headphones, my dad’s old brown, closed-ear, plastic cans. It even had a curly pig-tail cable. Vintage! I’d put the LP on the turntable, insert a blank cassette, and record the album while listening to it for the first time. Ideally, the record sleeve would have the lyrics printed on it, along with some liner notes and credits. God, I loved reading those on every new album. I would read the special thanks, the producers, the whole thing. And, I would follow along with the lyrics. I taped the album because I had a tape player in my room that was better than my turntable, plus, I feared I would wear out the album. If I wore out the tape I could just record another copy. When I got my Walkman (To be honest, I never owned a Sony Walkman. I had Panasonic portable tape players. I always liked Panasonic, for some reason. Never been a big Sony fan.) it paid off because I had lots of cassettes ready to go. “Signals” just spoke to me. There’s a melancholy about the album that I completely related to. The first song, “Subdivisions” dealt thematically with alienation, something I was starting to feel as I began to feel different from my peers. “Analog Kid” had a longing in it, looking for something that we almost had and then lost. The boy in the song lies in the grass, unmoving, staring at the sky, as a hawk goes soaring by. His mother calls him back and he throws down his baseball cap and covers up his eyes, the lyrics tell us. Why does he cover up his eyes? Is he upset because he wants to continue to commune with nature? I don’t know, but I do know that, even though I didn’t know why he did it, I surely understood how he felt. “Losing It” is another of my very favorite Rush songs. The crazy thing is that it’s a very downtempo song, and deals with the heartbreak of losing your creative abilities. Admittedly, it took a few years for me to understand the song and for it to truly resonate with me. But, it did. 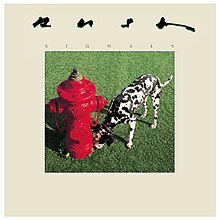 Overall, Signals is not the greatest Rush album, but it’s probably my 2nd favorite after “Permanent Waves.” I have a very vivid memory of listening to it on headphones on the way up to Barstow to visit my grandparents one weekend. Those car trips seemed amazingly long to me, but listening to my music shortened it up, for sure. We were going up the Cajon Pass and the song “Chemistry” was on and I was happy in my little heart. The sun was shining, inside and out. Nice. 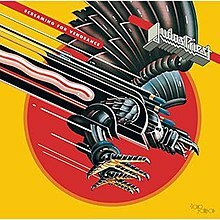 Two albums that came out this year that I came to love were Scorpions’ “Blackout” and Judas Priest’s “Screaming for Vengeance.” Blackout has the title track and “No One Like You.” This is the album that preceeded their big commercial success. So, they hadn’t jumped the shark yet. Vengeance is a great album. It announces its presence with authority as “The Hellion” blasts off and careens headlong into “Electric Eye.” Then, the classic “You Got Another Thing Coming” hits you between the eyes. In my opinion, this is the 2nd best Priest album. The songs are hard-edged and hard-hitting. The lyrics aren’t too stupid, either. For me, the best things about Priest were Rob Halford’s voice plus Glenn Tipton and K.K. Downing’s twin guitar attack. Oh, and the album cover is one of my all-time favorites, too. So badass! What is it? Well, obviously, it’s the Hellion who is coming to kill you, screaming for vengeance! How can you not love that? 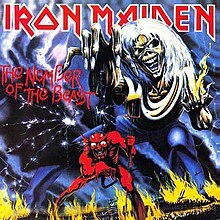 Iron Maiden’s “The Number of the Beast” is a helluva album. I didn’t buy this album until later and honestly, it scared me for a long time. It just seemed so damn demonic! And, it was, in a good way, though. In reality, though, it’s not a very scary album at all. It’s about as Satanic as any horror movie or Poe novel. In fact, one of the things I’ve always liked about Maiden was their literary-minded songs. The songs were stories and were often based on movies, books, or poems. 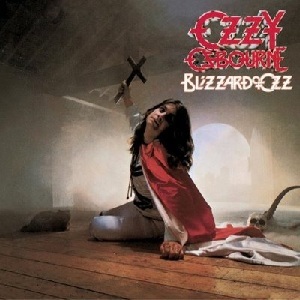 Classic songs like the title track, “Run to the HIlls” and “Hallowed Be Thy Name” make this a must own metal album. This album also represents a maturation for Iron Maiden, to me. The songs feel more polished and complex. Earlier albums sounded raw and unfinished but these songs are ‘true” Maiden to me. Hallowed Be Thy Name is a great example. It starts off slow, quiet, and brooding, a man about to be executed. The song builds to the end, howling in impotent rage against his sad destiny. Masterful. In my next installment, I will look at 1983. I was 12 years old and started buying metal albums when they came out. Metal would become a full-time part of my life and identity. This is too weird. I've only scanned a few paragraphs, (I'm at work ;)) but you've hit me right on. Only thing is some of my favorites were Iron Butterfly and T Rex. I couldn't afford to buy music. I could only listen to the radio. In my formative years, MY radio station was AM 590 KFXM in San Bernardino. Oddly enough, I still listen to that station only now it is a Conservative Talk Radio station.